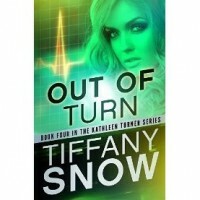 Saw an interview with Tiffany Snow tonight and learned a few exciting details :)*The guy who doesn't end up with Kat will get his own book and a HEA! *Kat will make her decision between Blane and Kade in Out of Turn! *Senator Keaton will get what is coming to him! *An enemy that Kat made in book one, will come after her. *It is Blane in the alley at the beginning of Out of Turn, not Kade =DCome on December! I can't wait for this book!